If you fancy something a bit different from flowers or simply prefer the longevity and beauty of watching plants grow then Flowers Peterhead also has a range of plants available for delivery. 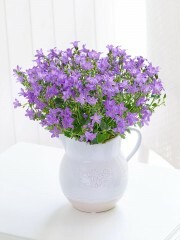 Florists Peterhead have a wonderful selection of plants for you to pick from. 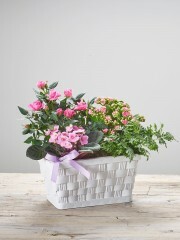 Sending Plants and gift baskets are perfect for all types of occasions, whether it is a birthday, new home, new baby or get well soon, our plants and gift baskets are adaptable to many events. Our range of fresh plants are a fantastic gift for someone to keep so that it can remind them of the happy or exciting event or occasion for a long time. Our first priority here at Flower Delivery Peterhead is customer service and we pride ourselves on our quality of flowers and service so you can rely on us to ensure that you and your recipient will be completely delighted with your order. Everything that we send out is always of the highest possible quality and our team of drivers will ensure that it is delivered straight to your chosen address in a careful manner so that your gifts get to your recipient in the best possible condition. 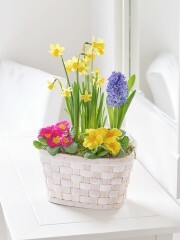 Flowers Peterhead go to every length to make sure that you will be provided with everything that you need whatever the occasion or reason for sending flowers, plants or gifts. 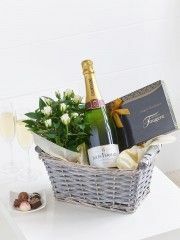 Florists Peterhead also has an array of gift options that are perfect to complete your order and make it extra special, or they can be sent by themselves. 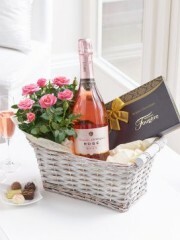 We have a selection of chocolates, champagnes and wines, teddies, balloons and vases. Our delivery option is great because you can order everything you need in one place and have it delivered all at the same time instead of having to visit several different stores. 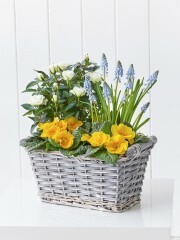 Once you have placed your order you can sit back, relax and let Flower Delivery Peterhead do all the work. 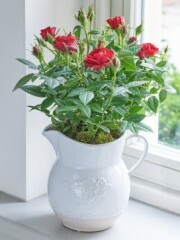 Flowers Peterhead make sure that everything you order receives the care and attention that it deserves so that you don't have to be concerned about any aspect, we will deliver your plants and gifts straight the door of your chosen address, where and when you specify. Flower Delivery Peterhead prides itself on its quick and careful delivery service, bringing you everything you need to celebrate those special occasions. Flowers Peterhead are delighted to offer Same Day Delivery, for those occasions which pop up out of the blue or if you have forgotten to order in advance. 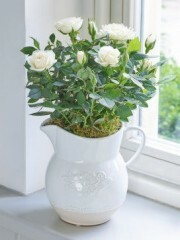 We will make sure that your order is personally delivered so that you don't have to worry about anything, as long as you place your order before 3pm to allow our dedicated florists enough time to prepare your order and make it as beautiful as possible and to allow our drivers plenty of time to deliver your plants and gifts in the best condition. Florists Peterhead have a superb selection of plants in different sizes, colours and varieties, so you are sure to find something that you will love. Our Florists in Peterhead have a passion for flowers and plants and love to be part of your gift giving and helping to bring a smile to your friends and loved ones faces. We can deliver anywhere throughout the UK from Monday to Saturday and thanks to our trusted network of florists we can also send flowers to 140 countries overseas so that you can reach your loved ones in the most far off places. We like to make it as convenient as possible for you and your recipient so we have a number of delivery options on our website so that you can specify exactly where and when your gifts will be delivered, no matter where you or your recipient may find themselves. Here at Flower Delivery Peterhead we always put our customers first and are happy to help in any way that we can, so please do not hesitate to contact us via phone or email if you have any questions or queries, or if you wish to place an order.